Few names bring out more negative feelings and comments from many Viet Nam Veterans than does that of Jane Fonda, more commonly known as “Hanoi Jane,” to those of us who served in Viet Nam. 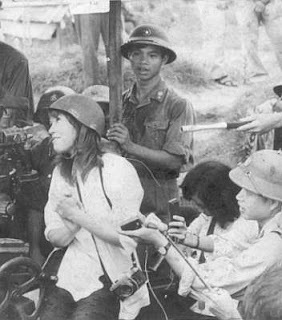 In spite of her efforts today to smooth over her treasonous actions of traveling to Communist North Viet Nam, where she broadcasted pro-communist messages, had her photo taken while she gleefully sat at an anti-aircraft gun used to shoot down American aircraft, met with selective American POWs and heartily embraced the communist message that eventually enslaved the people of South Viet Nam, not to mention her pre-North Viet Nam conduct outside of US Military bases, disdain of her is as strong as ever to many who lost friends or loved ones in the war. For those not familiar with Fonda’s activities in the late 1960’s and early 1970’s and that might have received the email that has been circulating for years now about her, not everything in the email is true. Just who salted the email with the falsehoods is unknown. Having done so they ran the risk of watering down her true treasonous actions. Her actions were injurious as they were, no need to add to them. What neither acknowledges is that it is mostly Veterans and their families who comprise this “cottage industry” she talks about. While Fonda may have “spent a number of years trying to put her controversial Vietnam past behind her,” many Viet Nam Veterans, who served their country faithfully and honorably have spent the past 35 years trying to understand why we weren’t allowed to finish the fight and keep the South Vietnamese people free. We wonder why we were spat at, called baby killer, murderers, losers, drug addicts and much more. We don’t receive the chance to “put it behind us” when it is still being thrown in our faces as we see history trying to repeat itself with our Troops today. While Fonda continued on with her roles in movies, writing books and producing exercise tapes, earning millions of dollars, false beliefs and tales about Viet Nam Veterans proliferated, resulting in many Veterans burying memories and acknowledgements that they even served, so as to avoid the catcalls and sometimes, just to be able to support their families in a hostile community. Others bought into Fonda’s pro-communist rhetoric and supported her, but they were a distinct minority. Of the two apologies mentioned above, at best, they could be labeled as Pseudo-Apology’s, in reality, closer to “non-apology’s,” as her regrets are over her photo being taken, not her treasonous conduct nor demoralizing so many honorable veterans. She has also never offered even regrets to the millions of South Vietnamese people that survived the initial communist take over to be enslaved by the Communist North Vietnamese. That she was never prosecuted for her anti-American activities has left many dumbfounded. Not everyone shares in the contempt so many Veterans have for her. At her birthday party, celebrity pals flew in to honor her. Actress Sally Field said, "Jane is my deepest and truest friend…. I'm here tonight with my open heart and my sagging face to thank you for everything you've given me." I am left wondering if she ever gives a thought to just what type of life she helped create for many of the 2.6 million men who served honorably and faithfully in Viet Nam and if some of the 58,249 names on “the Wall” in Washington D.C. might also have had a “blessed life,” if not for her treasonous actions helping to prolong that war and emboldening an enemy that was continually defeated on the battlefield? My brother's spirit spits upon her. If there really is a firey hell, I hope the full realization of what she did is shown her, just as she is condemned there. A forty-something myself, I am only beginning to understand the truth about the Vietnam War. 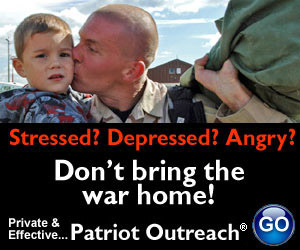 God love the Gathering of Eagles, blogs such as this, and active military all who are perfecting history in Iraq. It isn't out in bookstores yet, available only online. I just finished it this weekend, very informative. Physically attractive at 70, wonder if she will ever come to realize no amount of money will ever buy her a soul. Jane Fonda was and still is a traitor. Hollywood may love her, but most of America will never forget what she did.